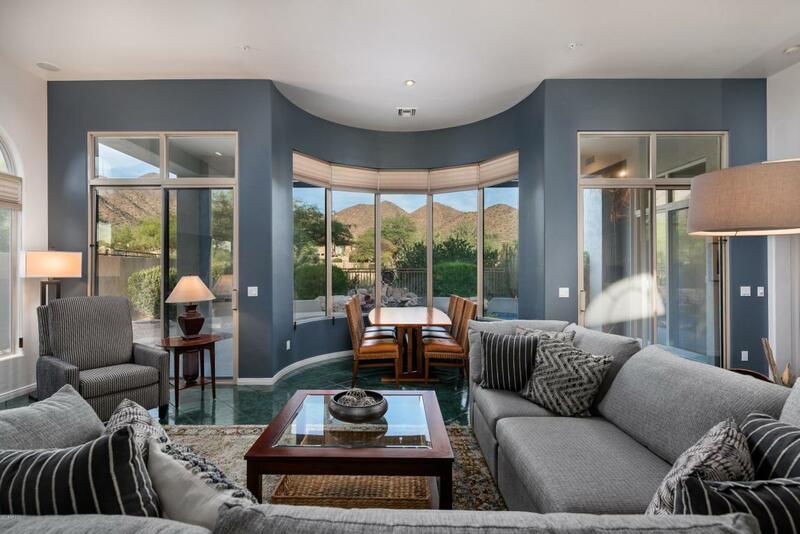 Wake up to breath-taking views of the McDowell Mountains. 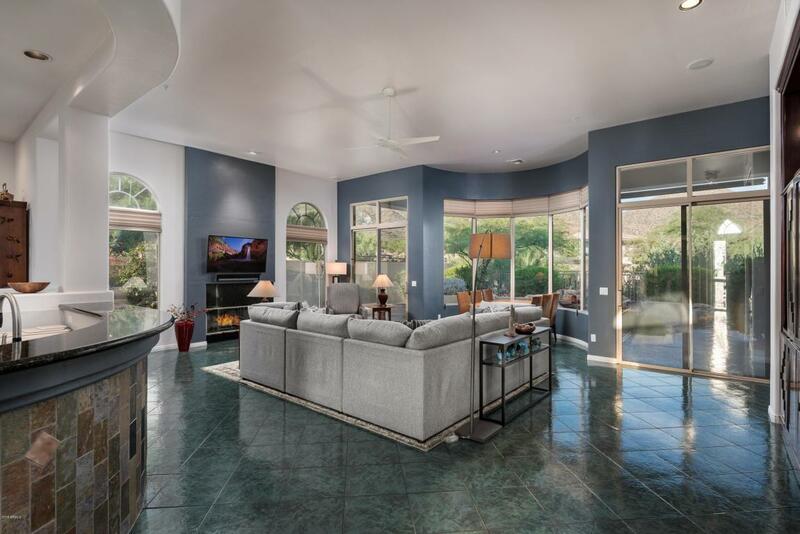 Open floor plan, high ceilings throughout, open family room with scenic mountain views. Lovely kitchen with stainless steel appliances, corian & granite countertops, island and sit-up bar. Dining alcove, his/hers closets in master, guest bedroom and bath, cabinetry and folding countertop in laundry. 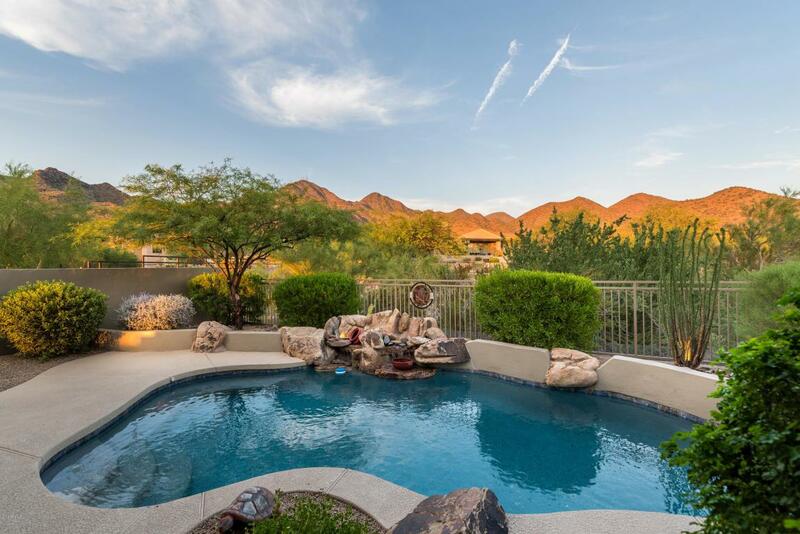 Walk-out to a refreshing pool/spa and private mountain views. Solar panels reduce costs of AC to less than $50/month! Electric exterior sunshades and sun screens for increased cooling efficiency. Temperature controlled garage. 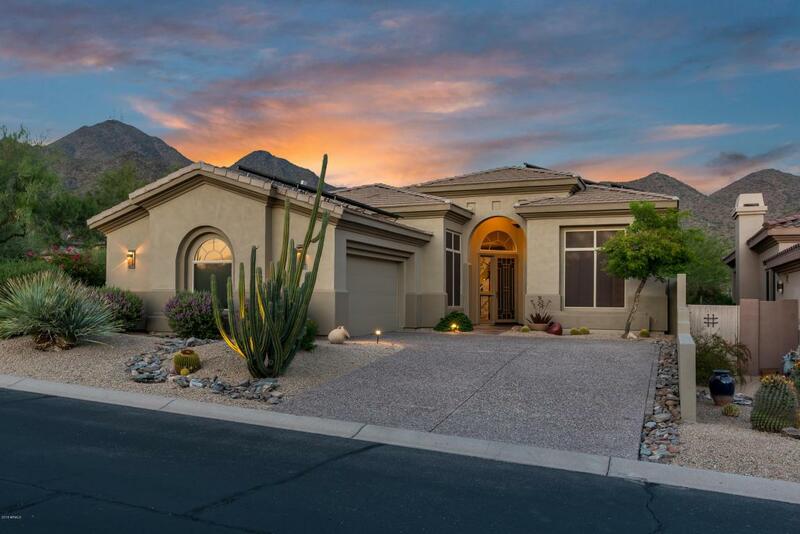 The community has its own private pool and tennis courts and tons of walking/biking/hiking trails.